Ain’t easy being Lea. Not only is she suffering from amnesia, her voice is also lost, and the poor thing is stuck in CrossWorlds – a MMO in which players experience the world through physical avatars, using all five senses. Uncanny. Needless to say, she needs your help to escape and regain her memory; to re-enter the real world, as it were. Fast-paced battles, perilous puzzles and lots of (energy) ball throwing make up the bulk of the experience. Now, this may sound a tad odd, maybe even confusing to some, but chances are it’s a lot closer to “never a dull moment” and “good times”, as you help Lea deal with her rather peculiar conundrum. There’ll be switches to flick, bad guys to blast, environmental hazards to avoid, and so much more, as well as them ever-popular elements (fire, ice, lightning and water); both for puzzle solving and asskicking. All wrapped up in a very stylish 16-bit art style, as can be seen in the trailer at the bottom of this article. 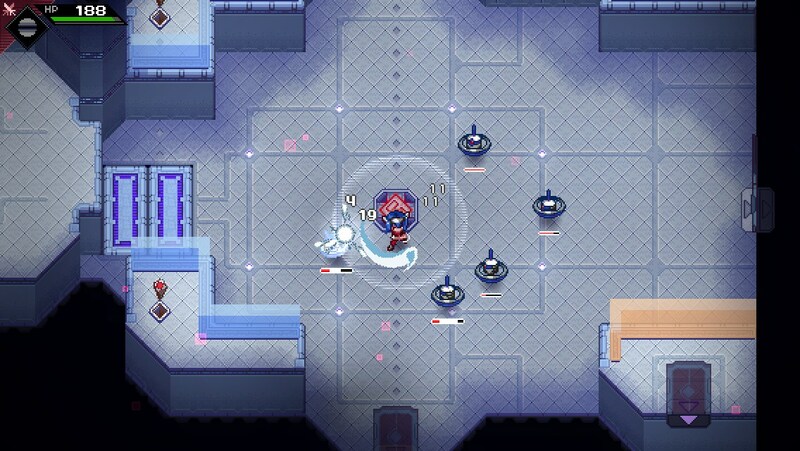 But first, there’s the tiny matter of getting it funded, as Radical Fish Games is looking for €80.000 (approximately $90.000) to help finish developing CrossCode. See, almost 4 years has already gone into the project, as showcased by the updated demo, so needless to say, they’re now more than a little eager to wrap things up by switching to full-time. At the time of writing, the campaign has received €15.562 with 26 days to go, meaning there’s still plenty of time. Also, remember that you don’t have to spend money to support them – simply spreading the word helps too. 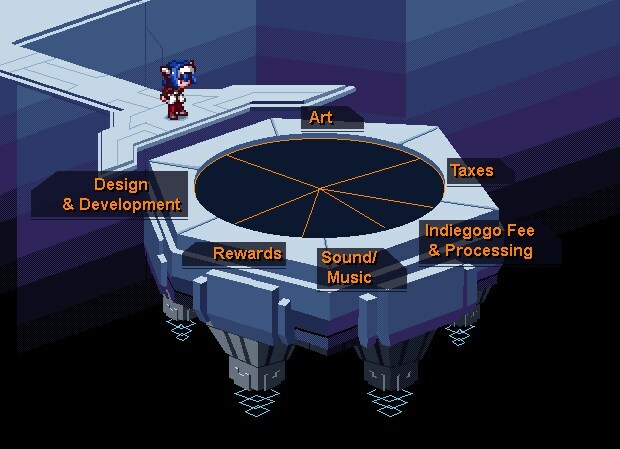 So… let’s get CrossCode funded, eh?